Australia has seen a major rise in the number of homes listed for sale across the country, the biggest increase for five years. Australia home-owners listed a total of 47,483 properties for sale in January 2016 a rise of 11% compared to the same time last year. 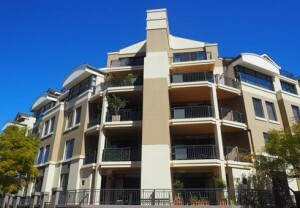 Australia: It is the highest number of new property listings at this time of year since 2010. There were 27,430 homes listed for sale in all capital cities which is 5.4% higher than at the same time last year and the highest since 2010. “The housing market in Australia is changing fast,” says Darrell Todd, CEO of thinkingaustralia. The number of homes for sale in Melbourne and Brisbane are at their highest level since 2007. In Adelaide and Perth new listings are at their highest levels for this time of year since 2010. In Hobart and Canberra they are at their highest levels at this time of year since 2014. Compared to the same time in 2015, the number of homes for sale has fallen in Melbourne, Brisbane, Adelaide, Hobart and Canberra. “The falling level of housing stock in these cities could fuel rising competition for available properties and this could force up sale prices,” says Darrell Todd. At a national level, the number of new homes listed for sale is at its highest level since early October last year. In Melbourne, Brisbane, Hobart and Darwin the number is at a record high for this time of year. In both Perth and Canberra homes for sale are at the highest level since 2011, according to CoreLogic RP Data Listings Index.